It was bound to happen eventually. Despite attempts to expand beyond dating, Tinder will seemingly always retain that grim veneer of cynicism that it was coated in when it spawned. Case in point - Tinder Boost. This new service will basically allow you to pay your way to the front of the line, appearing on other people's feed before anyone else. Gotta love capitalism, eh? Of course, being seen first is no guarantee of getting matched, and really it's hard to say how much it will actually boost your chances. Boost only applies to users in the same area, and each payment nets you 30 minutes, so I guess the idea would be to buy a Boost pass (or whatever) when you're actually out and about, in the hopes that you'll get matched straight away and meet someone within the next half-hour. Tall order. As with many added Tinder features, Australia will be the first people to get it, but as yet we have no bearing on how well this whole thing is actually going to work. 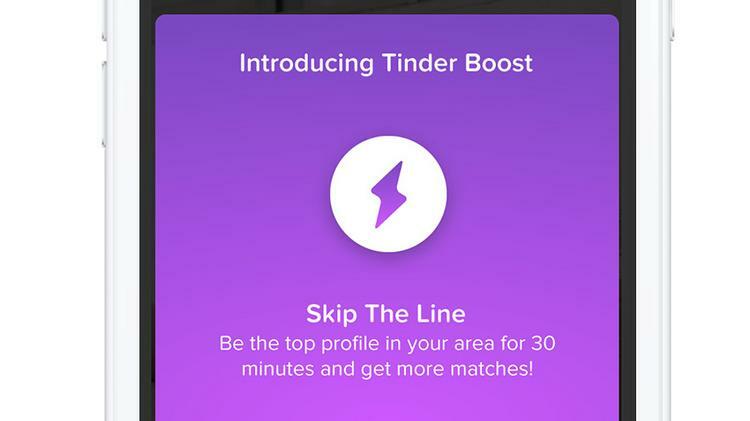 The other thing we don't know is exactly how much Tinder are planning to charge per-Boost, but one imagines that the Australian test run will also provide the final basis for that. The pricing aspect is probably, Tinder hope, a way to make sure the feature isn't so overused that it becomes redundant, but there's a flaw in that approach. Have you ever used the Amazon app while you were a little drunk? Yeah? Did you buy something? I figured as much. Imagine then, for a moment, that you're out at a bar, swiping away, and the option to drop a few pounds/dollars to activate Boost flashes up. Of course you're going to do it, you're drunk, and so is everyone else. The net result? Tinder is working in exactly the same way it normally would, except that everyone in the vicinity just lost a little bit of booze money. 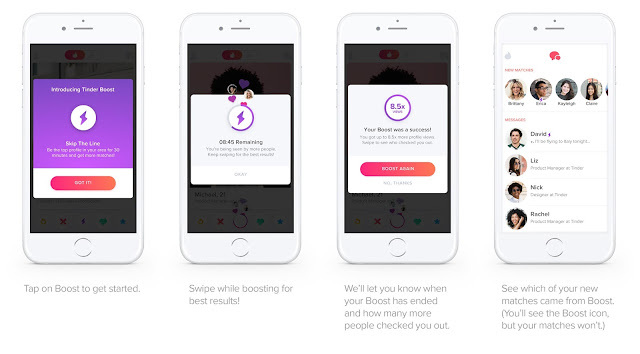 Of course, if you're already on the paid 'Plus' service, you'll get free Boosts, one per week, to go along with those Super Likes that definitely also work really well. If I'm coming across as a bit negative, it's only because this strikes me as yet another Tinder innovation that simply makes it even more depressing than it already was.